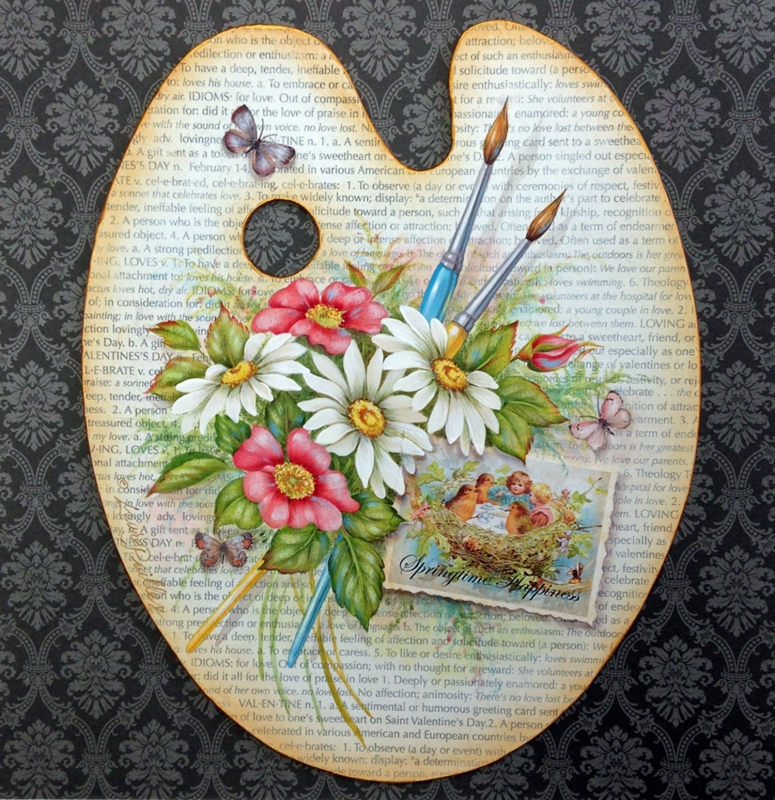 The pattern packet contains full-color step-by-step instructions for completing each element of the painting using DecoArt Americana acrylic paints and mediums. 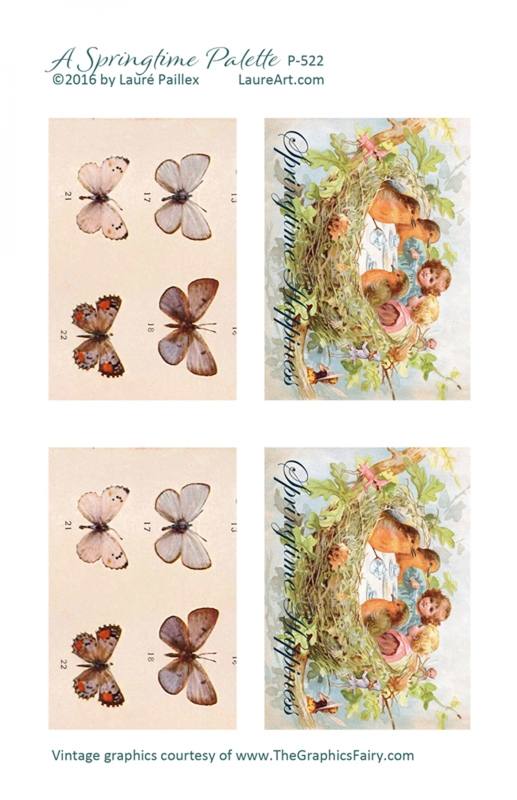 It also includes prints of vintage cards and butterflies ready to decoupage onto your painting. The background paper is not included. The large wood palette cut-out Item #222 is available from JB Wood Products, Inc.